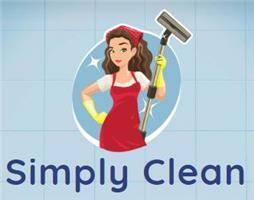 Simply Clean - Cleaning Services based in Oving, West Sussex. A fresh approach to cleaning your property. Simply Clean was founded by Melanie Longlands, a local experienced professional cleaner with expansive knowledge of the property industry. Having worked as an estate agent and property manager for over 10 years, Melanie created Simply Clean to offer a reliable, quality cleaning service that works for both homeowners, landlords and business owners. Covering all aspects of property maintenance, whether domestic or commercial, the Simply Clean ethos is to create happy faces through clean spaces, using vetted, friendly staff to meet and surpass client expectations and improve client surroundings. We offer a wide range of services to meet your property management needs. From general & regular home cleaning, to office and commercial cleans, holiday lets, end of tenancy and extra cleaning. We have a great team of quality, vetted staff who take pride in creating clean spaces with happy faces. We tailor our services to each individual client and are proud to have a 100% satisfied client feedback record. For a free quotation or to find out more contact [email protected] or call 07944 249607.